More than 20,000 species of bees live around the world. From endearing honeybees and bumblebees to frightening wasps and hornets and everywhere in between, wide variations of stinging abilities exist. Even within members of the species, only certain bees are able to sting, while others have no stingers at all. Whether wasp, hornet, honeybee or other species, male bees don't have stingers. Variations exist among species, but in bumblebees, for example, you can tell a male from a female through physical features like antennal segments; male bumblebees have 13, and females have 12. In some species, males may have larger eyes or longer hair. Another way to know if you might get stung is the presence of a pollen basket, a shiny, hairy piece on a female bee's back legs. A bee's stinger is actually a modified ovipositer, an organ originally used to lay eggs by females, according to the University of Illinois' Department of Entomology. Although this is its main role in many animals, it also acts as a piercing device for some species, including bees. Because of its evolutionary role in egg-laying, males are not equipped with this organ, which is why they can't sting. The role of the male bee, also known as a drone, is to mate with the queen. Stingless bees are also known as stingless honey bees or meliponine bees. They are native to tropical regions including Africa, Australia, Asia and tropical America. Females have stingers, but they are small and weak, and not capable of imposing a defensive sting. Although stingless bees lack the ability to sting, some species have blister-causing secretions in their jaws, which they can unleash upon attackers. Stingless bees are honey-producing bees, and therefore are an important ecological resource. What Makes a Bee Sting? Bees generally sting if threatened, or sometimes to establish power. Within the colony, for example, an aspiring queen will emerge from her special section of the hive, then go around the hive and sting other queens in an effort to establish dominance. If more than one queen emerges at the same time, they sting-fight to the death. 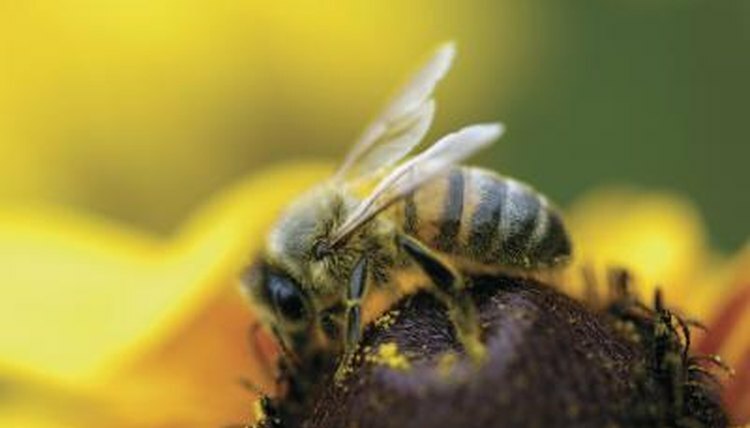 In addition, worker bees often sting intruders; not only does this ward off the intruder, but emits a scent that attracts other workers to assist. Cornell Center for Materials Research: Archives of Ask a Scientist!